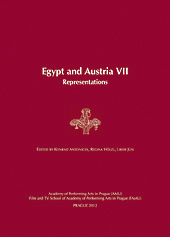 Egypt and Austria VII: Representations, ed. by Konrad Antonicek, Regina Hölzl, and Libor Jůn. Prague (Academy of Performing Arts in Prague – Film and TV School of Academy of Performing Arts in Prague) 2012.